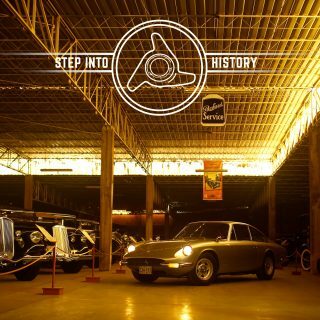 Each week with every film we produce we’re going to aim to give you a bit of a gallery from behind the scenes. 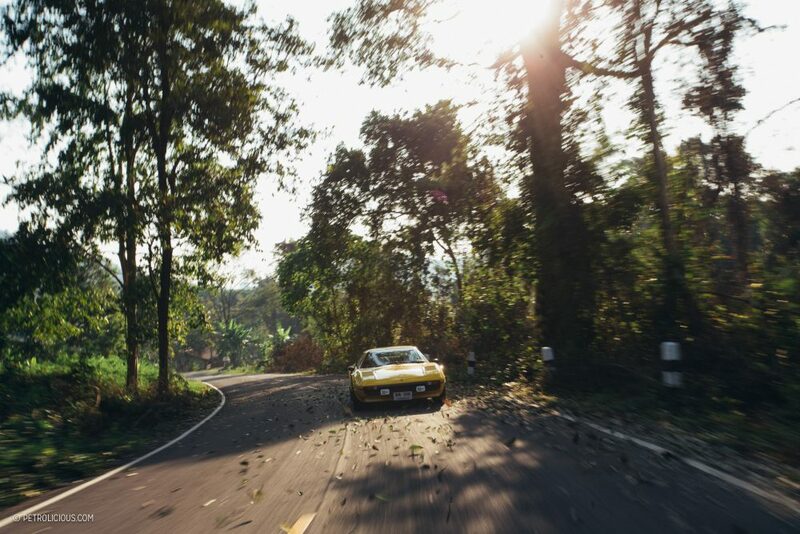 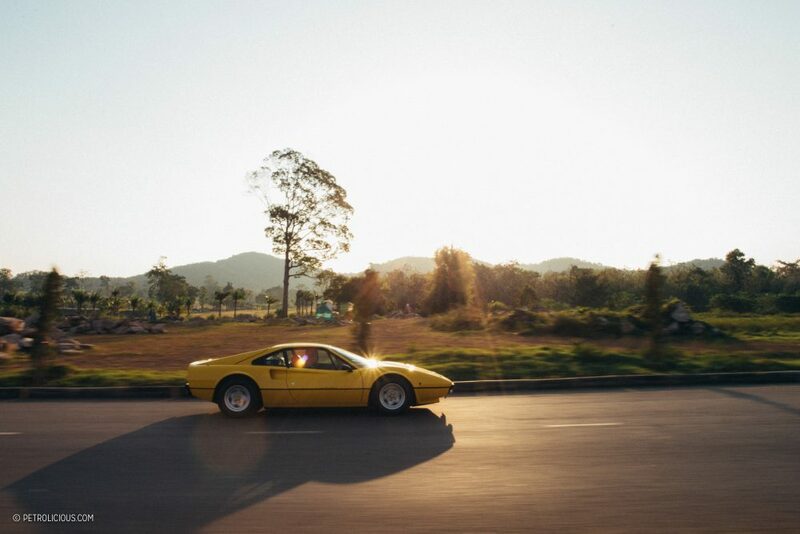 This week we take a ride from the bustling city streets of Bangkok to the winding rural roads just outside the capital in Chayanin Debhakam’s Ferrari 308 GTB. 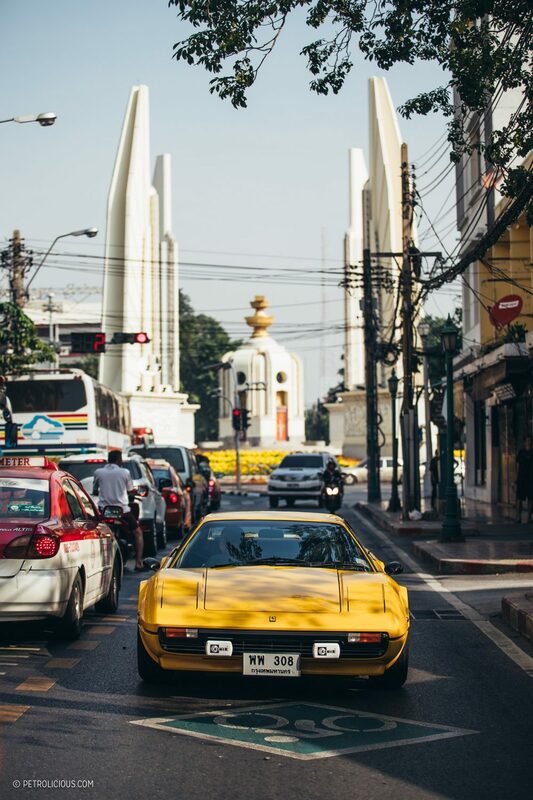 In Thailand, just catching a glimpse of a Prancing Horse out of the stable is a rare occasion, but Chayanin’s choice to daily drive his Ferrari is what elevates his enthusiasm for the marque. 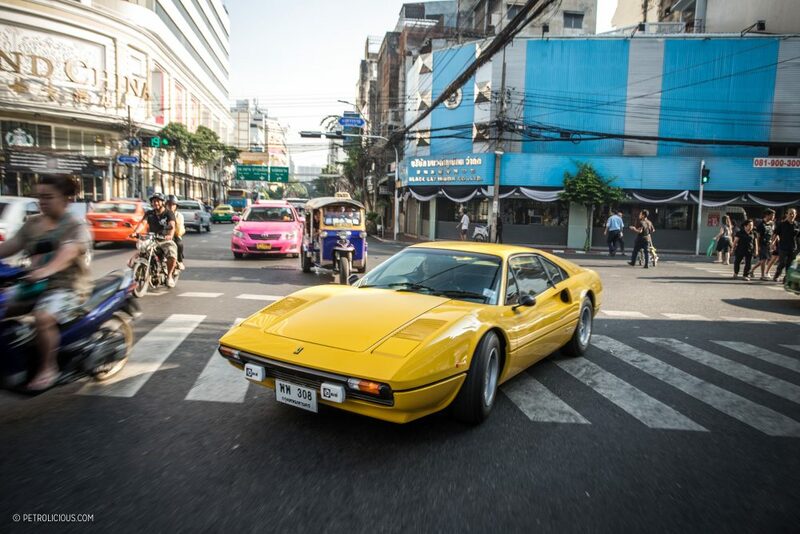 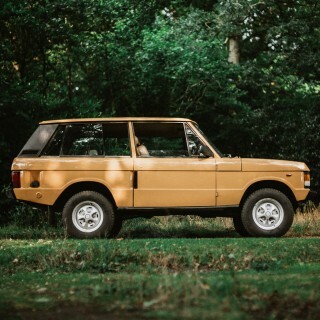 Before you can see one in the wild though, the car needs to be brought in first, and sourcing a Ferrari in the BKK is an entirely different challenge for these buyers. 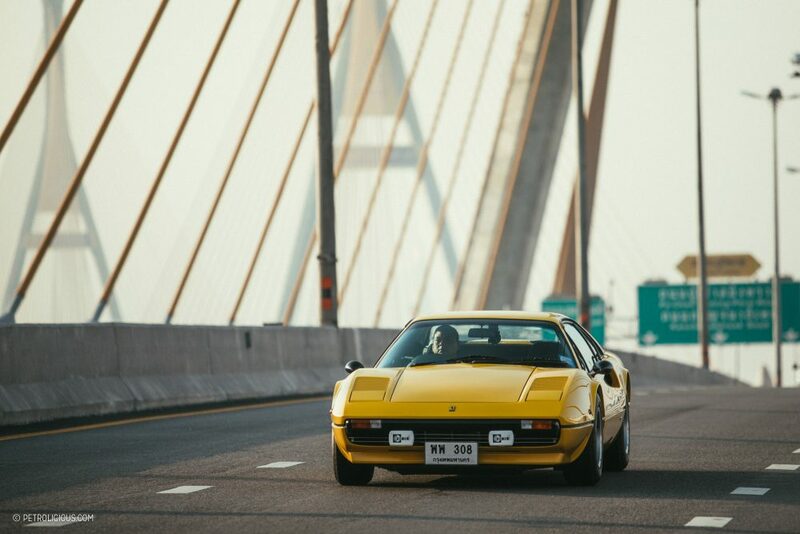 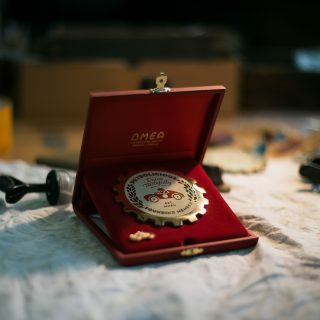 In recent years, tracking down correct 308 parts has become quite the task, but Chayanin was unwavering in achieving his vision, stating that his ultimate goal was to have it drive and feel as it did when it left the factory. 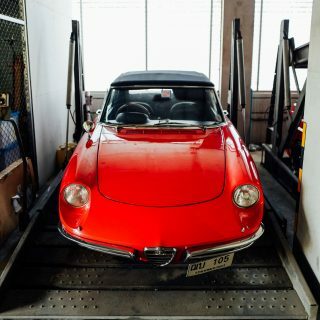 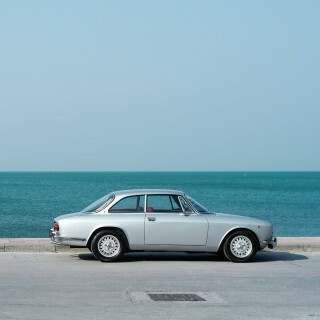 His obsession to return the car back to factory spec went as far as buying a new old stock (NOS) exhaust system to ensure the Italian eight-cylinder audio system was accurate. 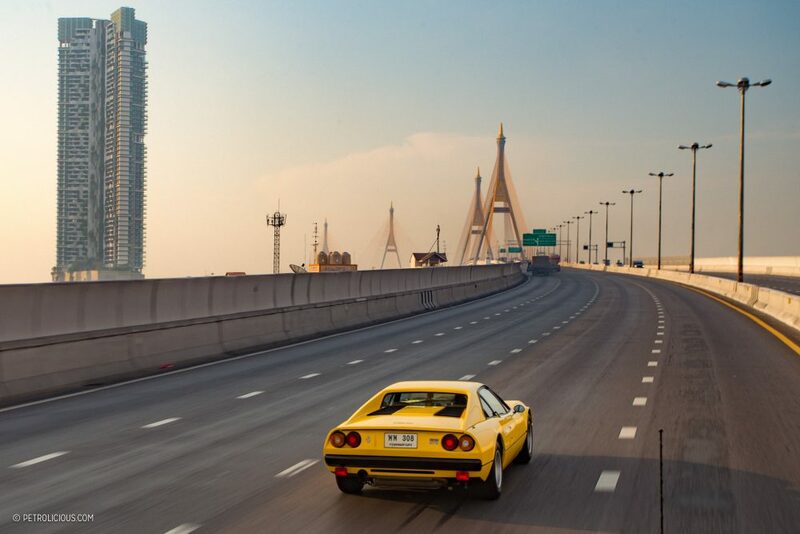 Finally refinished in flashy Fly Yellow with beautifully stitched black hide inside, Chayanin’s 308 GTB is back to the way Maranello intended it to be. 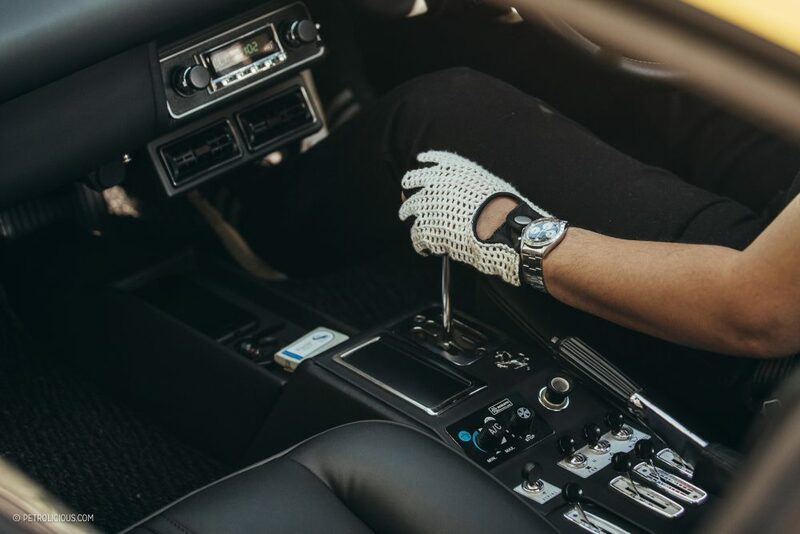 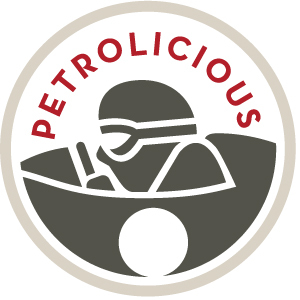 For many, pouring so much time and money into such a serious project would make driving the car an overly cautious event only to be indulged on occasion and only under ideal circumstances. 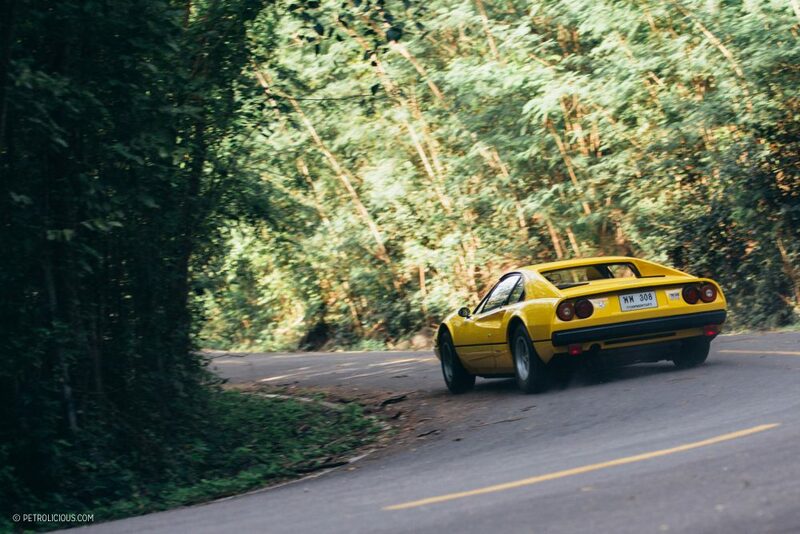 But, as you can see in the film, Chayanin has no problem revving-out his favorite Ferrari, getting tail happy in the empty forest-lined roads—after all, it is his everyday 308. 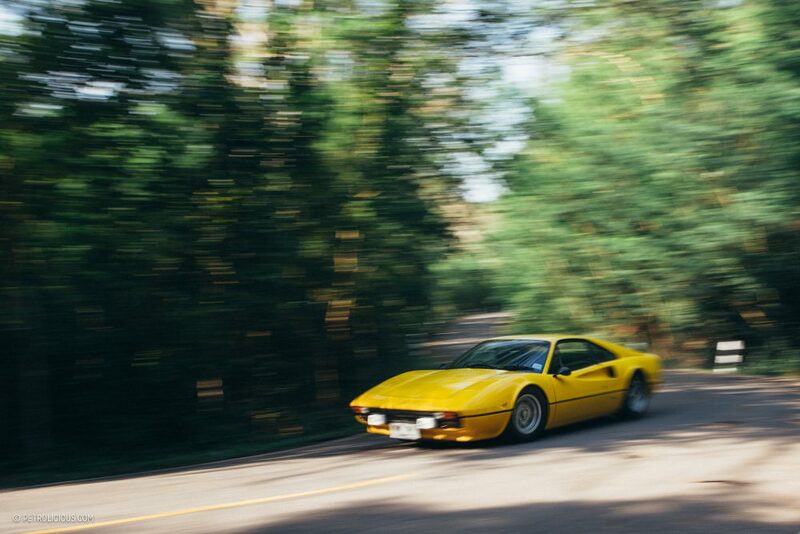 Ok this is a great article on daily driving our Magnum P.I. 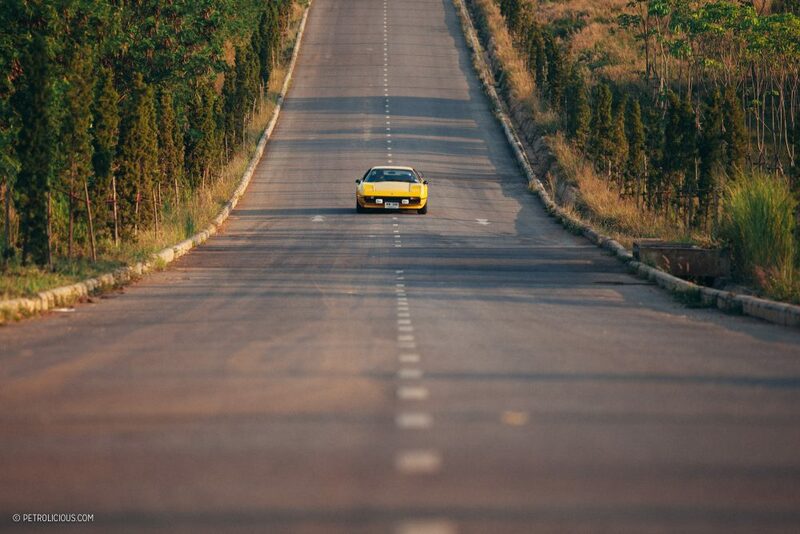 Dream Car even though its in Yellow. 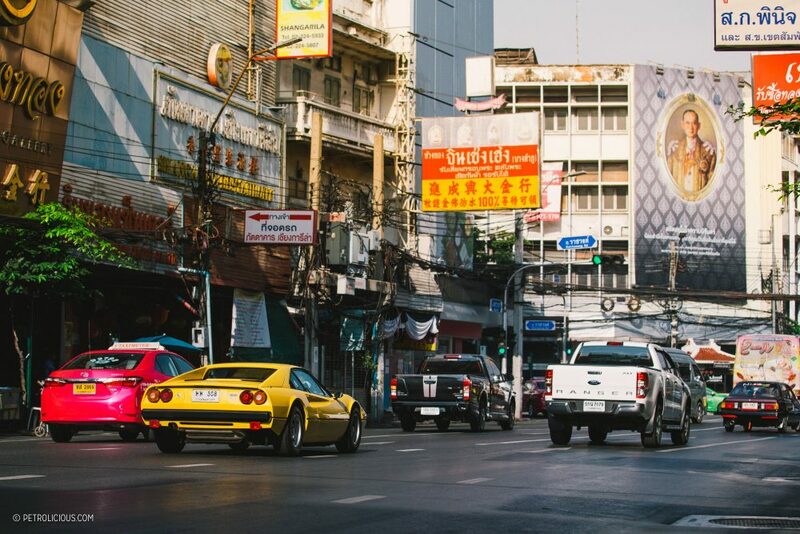 How did you manage to take shots in Bangkok with no traffic? 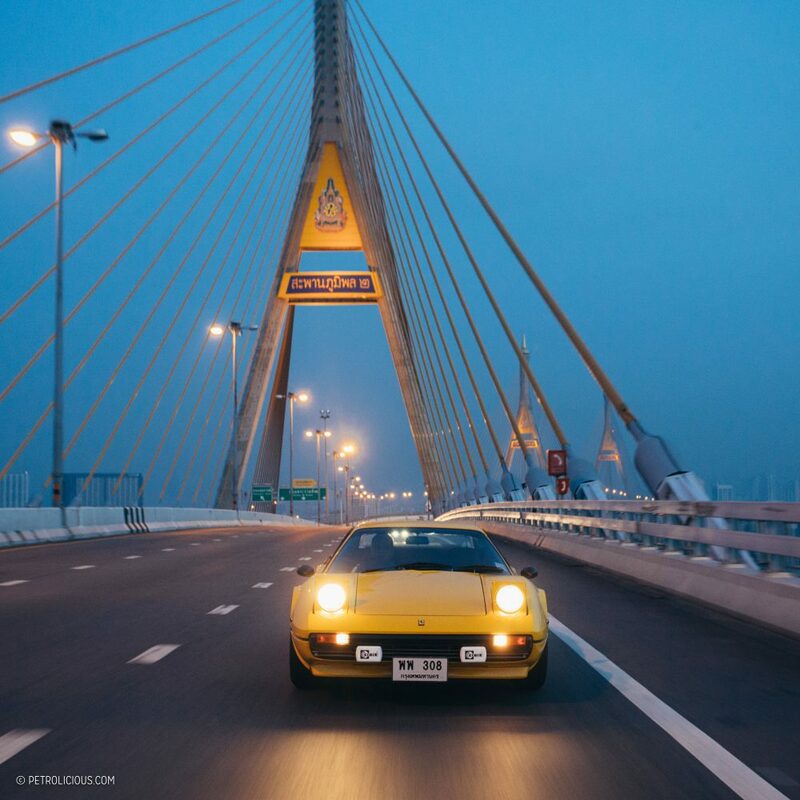 The head-on, lights-on shot of the GTB on the bridge at dusk should be a Petrolicious print. 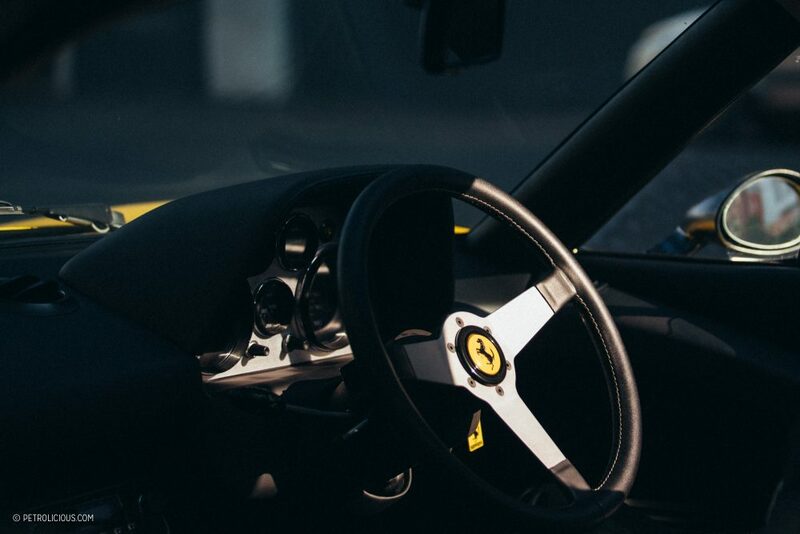 How ’bout it?